It has been observed that generally property brokers arbitrarily increase the rates of property and it is in this context property index comes into play. People Group-operated real estate portal Makaan(dot)com (also owning Shaadi(dot)com and Mauj Mobile) has launched a property tool or a tool on the lines of property index which goes by the name of Price Trends. This tool allows plotting of prevailing and past per square feet (psf) price for over 500 localities spread across 10 key real estate markets in India. 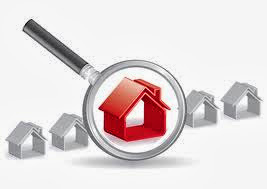 It helps a property seeker to arrive at the correct valuation of a property and say if he or she has short listed 3-4 areas for investment and wants to know which one is beneficial, the tool allows the price comparison. Thus one can use this tool for best property investment decisions. Moreover it has the facility by virtue of which one has the ability to get price trends for 12, 6 & 3 months plotted to get accurate short and long term trend analysis for price movement. The tool can also plot both the capital and rental values of an area. They have also launched India’s 1st Property Price Index, Makaancom Buy Vs Rent Index and Property Discussion Forums. It appears that this tool will become the reference point for property prices and their comparison in the Indian market. You can check out Property index here. Check us for best property tips and make money with our hot stock of the day.